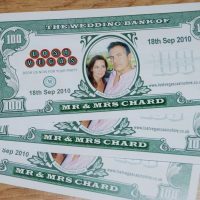 Lost Vegas is a premium family run business that brings all the excitement and glamour of the Las Vegas Casinos to your wedding or ceremony. 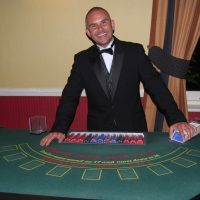 Playing for prizes of your choice with ‘fun’ money, your guests can enjoy having a flutter on a selection of games including; blackjack, craps, roulette, and Texas Hold’em. 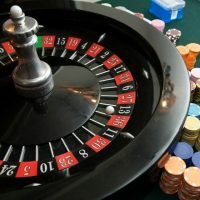 Providing professional croupiers with real casino experience helps the games run smoothly and they can offer friendly advice to newbies and high rollers alike. 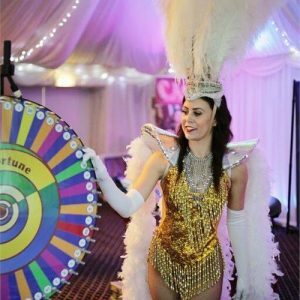 Lost Vegas casino hire is a versatile service that can provide entertainment between the wedding speeches and evening activities or alternatively, they can be run alongside the evening band or DJ. For your peace of mind, all of our equipment is high standard, insured and supplied with an experienced member of staff. 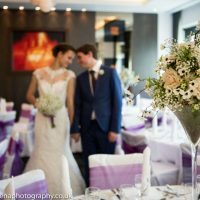 Set up is discrete and staff liaise fully with the venue or wedding planners to ensure the whole experience is memorable and stress-free. To discuss your needs please call 01344 441 626 or use the online enquiry form.